Are you ready to save time this week?Click here! why not start now? Why is it called Our Home Made Easy? 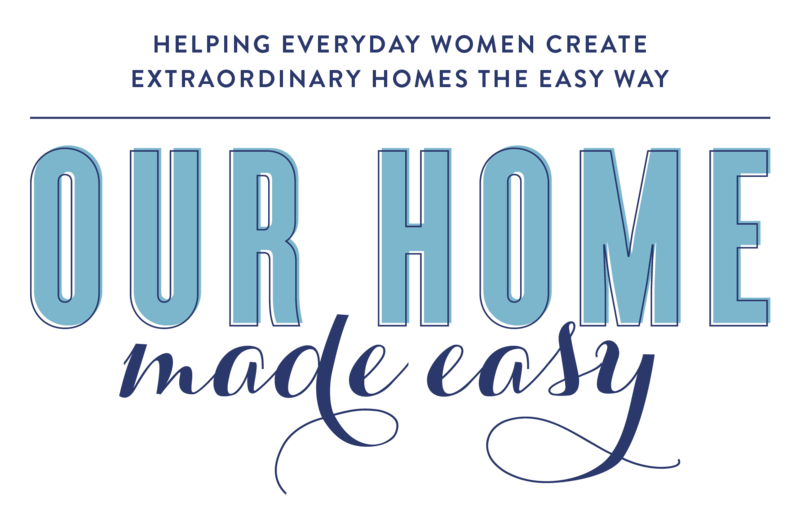 Helping everyday women create extraordinary homes the easy way! This post is sponsored by Cost Plus World Market and contains affiliate links. Opinions are 100% my own. When it comes to Michigan winters, the evenings seem super short. Whether it’s because it’s already dark when we arrive home work or just the usual single digit temps, I feel like our time as a family is especially limited at night. When it’s that time of the year, the last thing I want to do is spend an hour cooking dinner! I depend on easy, quick, and filling meals instead. 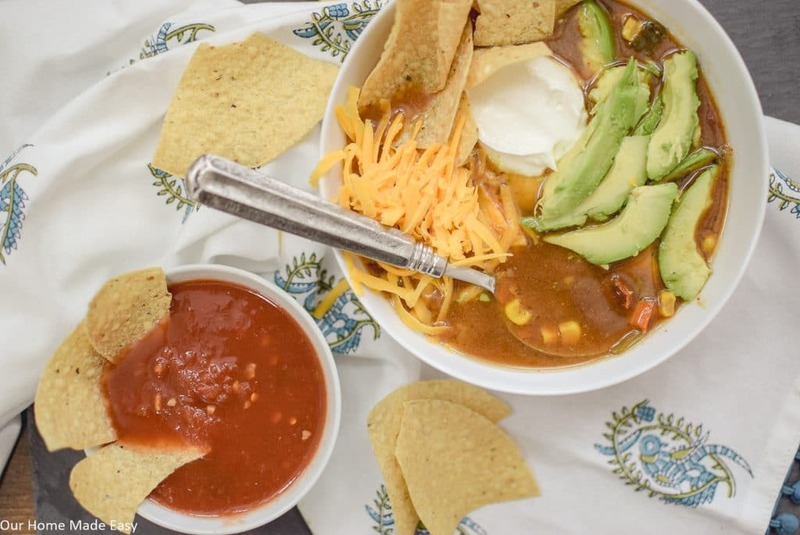 The easiest & tastiest one I’ve made this winter is this yummy tortilla soup recipe! 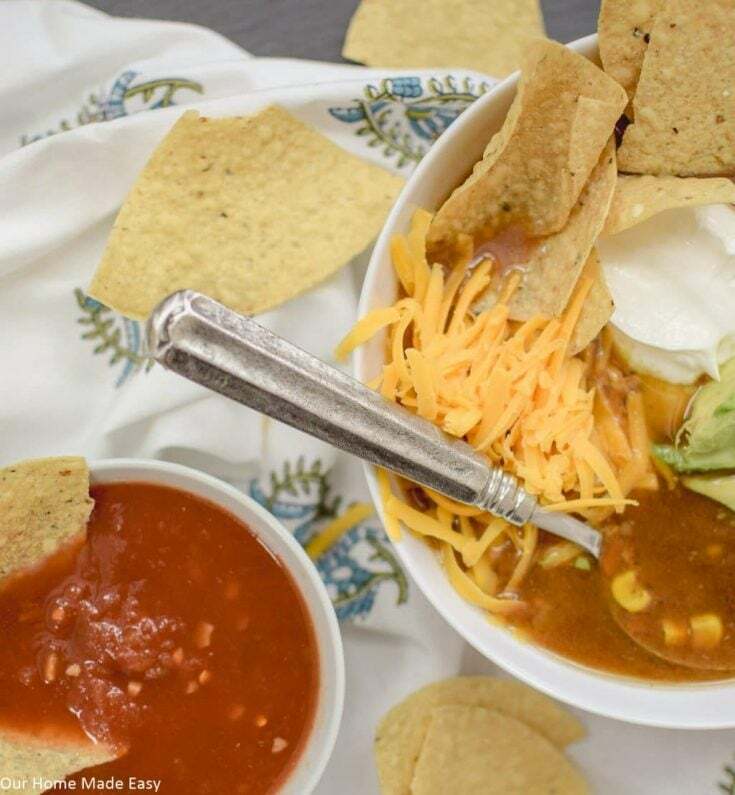 For this recipe, I made it super easy by picking up a pack of Spicy Tortilla Soup Mix from Cost Plus World Market. 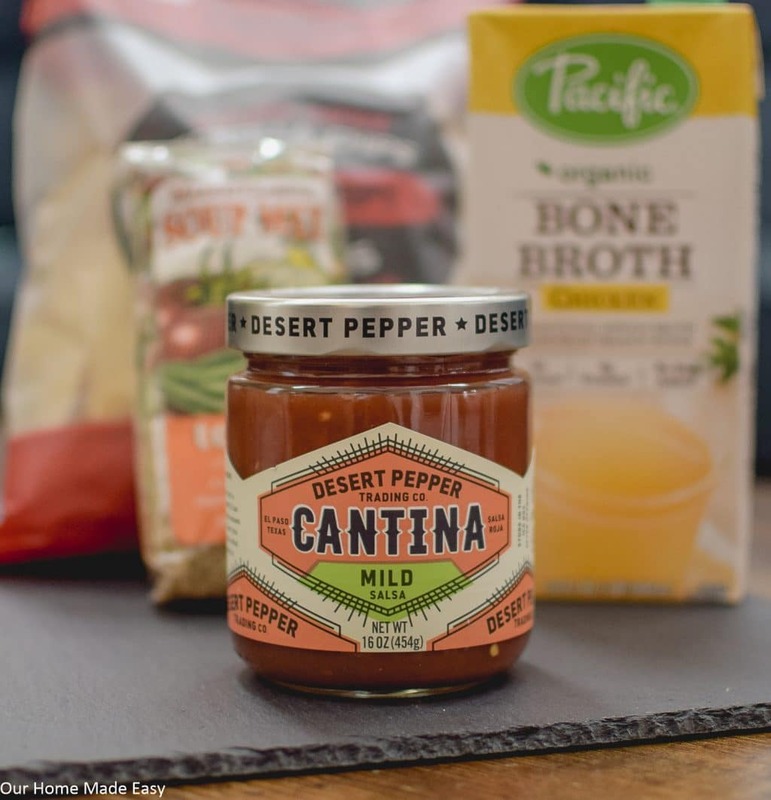 While I was there, I picked up a few other yummy items to make the soup an entire dinner. 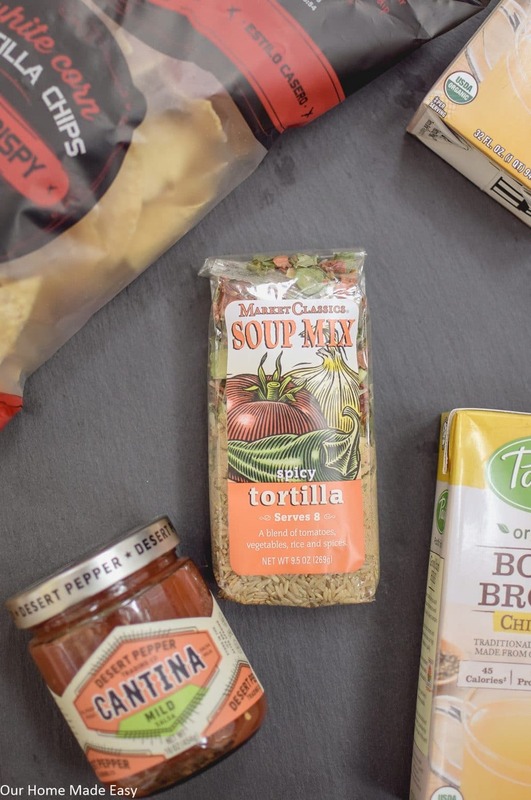 If you’ve never used their soup mixes before, I highly recommend them! They are such a quick way to start dinner and it saves our family so much time in prepping ingredients! 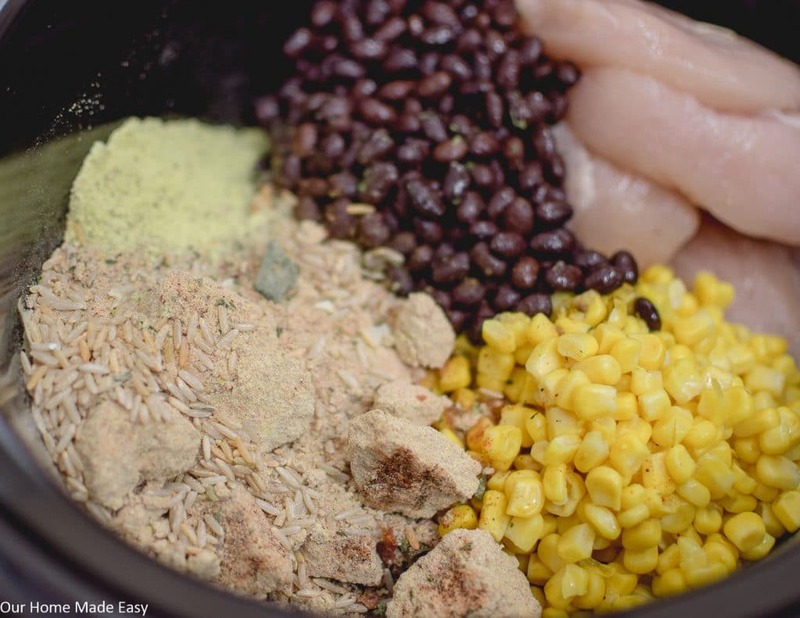 I added in black beans, corn, and a pound of chicken. 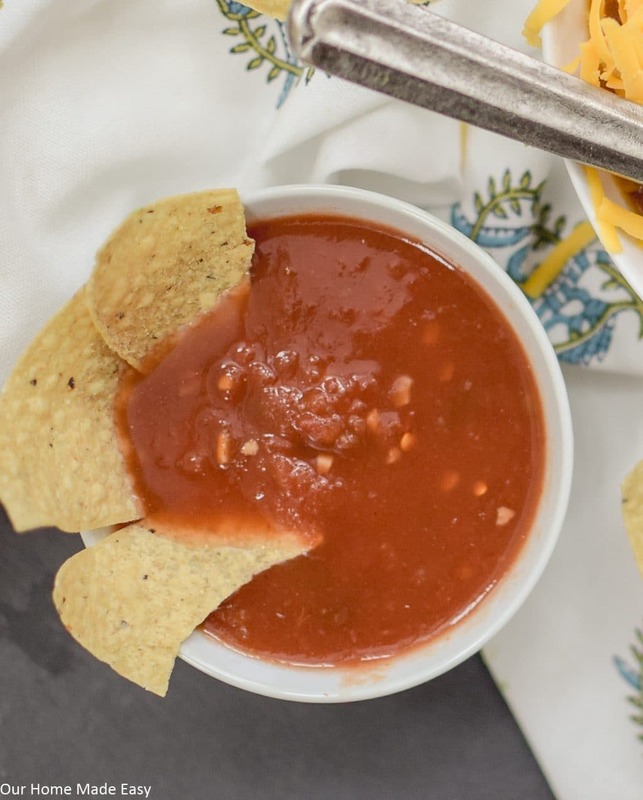 The fifth ingredient in the tortilla soup recipe is chicken broth. In most recipes that call for water, I’ll substitute in chicken broth to give a richer flavor. If you’d prefer a less broth-y soup, you could definitely add in some pasta and grains, too! Do I sound like a cook? Nope, just someone who has learned a few way to make semi homemade taste amazing. Right before serving, I shredded the chicken right in the slow cooker. Since it had been cooking for all day, the meat shredded quickly. When it was dinner time, the only work I needed to do was ladle out the soup into our bowls. To serve with dinner, I set out some freshly grated cheddar cheese, avocado, sour cream, and crispy chips & salsa. The best part to this dinner? The kids asked for seconds! I am always thrilled when they are willing to try something new and love it. Don’t forget to stop by your local Cost Plus World Market. While mine is right here in Ann Arbor, you can find your closest store here. 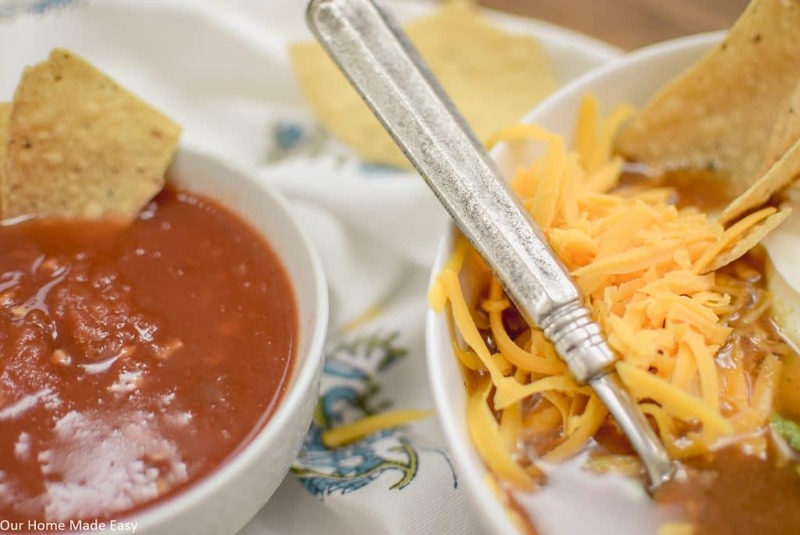 This soup is super easy to prep in the morning and enjoy in time for dinner! 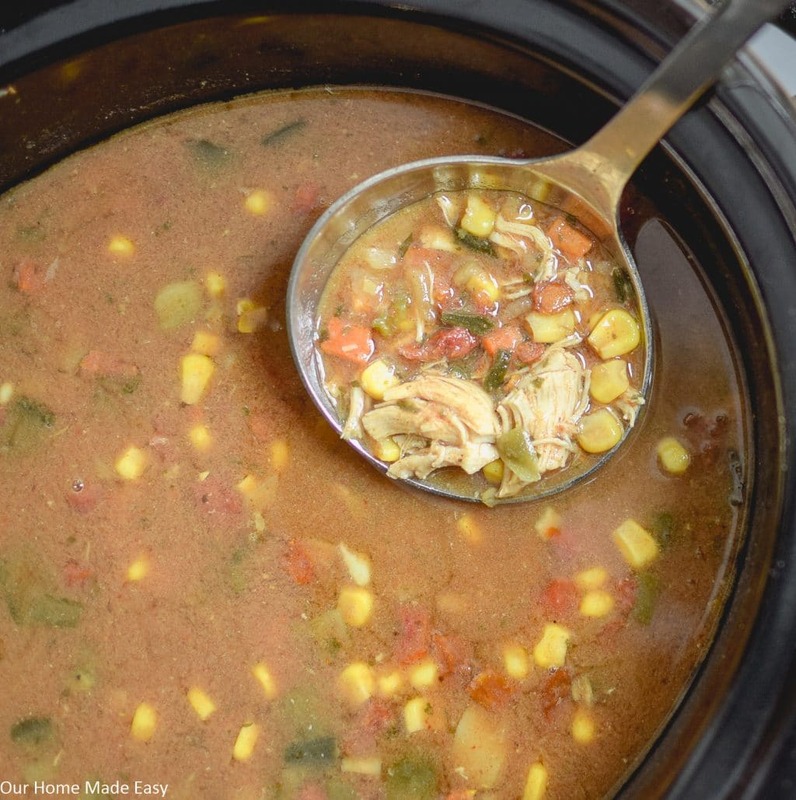 Mix all ingredients together in slow cooker. Cook on High for 4-6 hours or Low for 8-10 hours. Shred Chicken prior to serving. 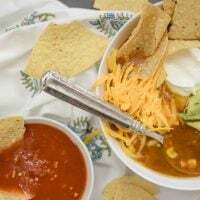 Garnish soup with cheese, sour cream, avocado, cilantro, or chips & salsa! Hi there! I am so excited to share this little corner of the internet with you. 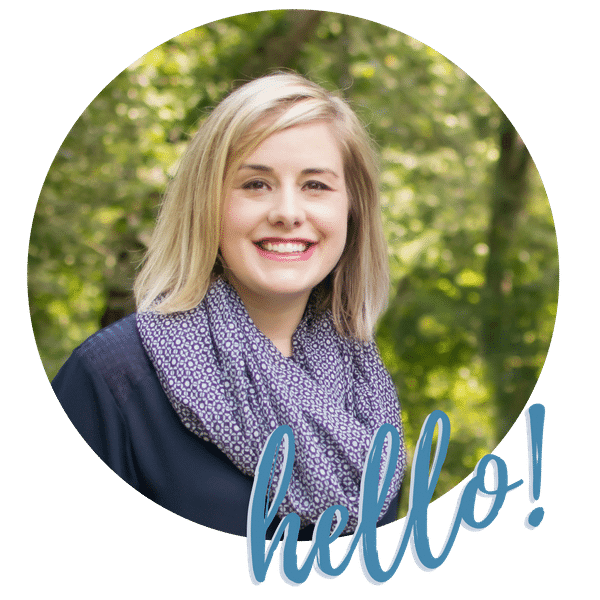 I am a working mom of two with a recovering Type-A high strung personality, the goal of Our Home Made Easy is to help other busy moms create happy memories at home without feeling overwhelmed. Our mantra is that a finished project & " it's getting so much easier!" are way better than being perfect. Hi, I'm Brittany. I am a full time working mama who loves helping everyday women create extraordinary homes the easy way! Sharing is always appreciated! Please keep in mind that all images and text on this site are property of Our Home Made Easy. You are more than welcome to to use a photo from the blog but please link back to the original post. Please do not remove any watermarks, crop, or edit any of my images without first obtaining written permission from me. Pinning is always welcome and appreciated! Thank you! Our Home Made Easy is a participant in the Amazon Services LLC Associates Program, an affiliate advertising program designed to provide a means for sites to earn advertising fees by advertising and linking to Amazon.com. Join The Free 6 Week Declutter challenge! Join more than 4,000 other women who have decluttered their homes for good!